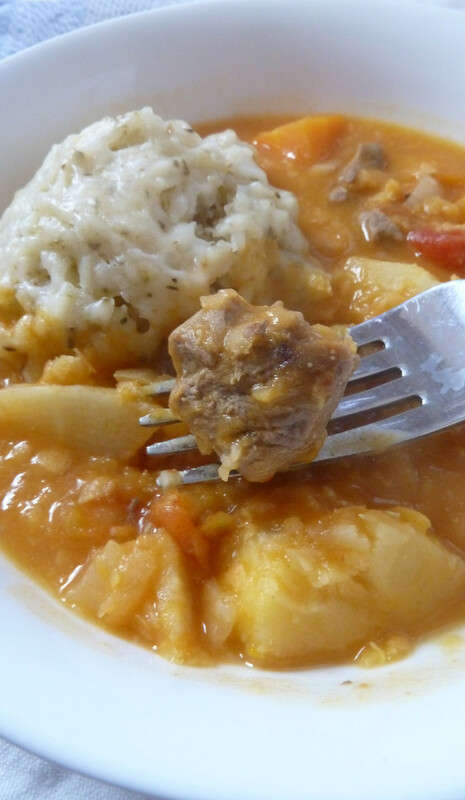 This lentil and lamb stew with dumplings is the perfect economical winter warmer. Try it with fresh crusty bread. The weather is rainy and the Vale of York is swathed in Halloween fog. 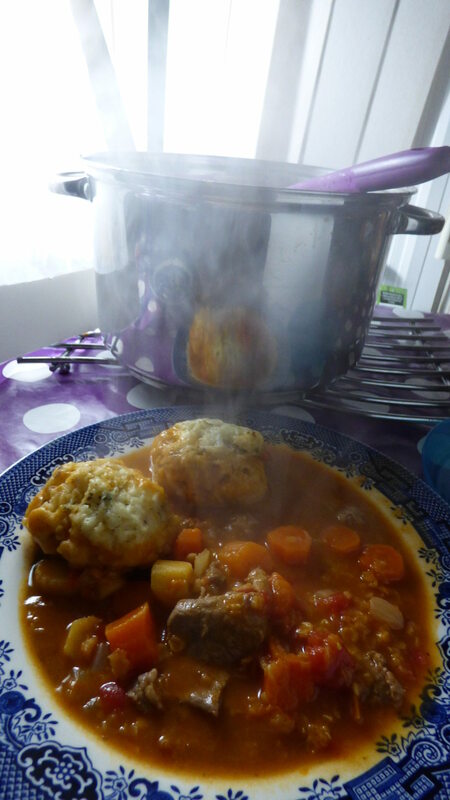 It’s time for lamb stew with dumplings- but not that greasy, bland lamb stew of tradition, tins and stodge. This dish punches flavour with every bite, and is undemanding. If you have a good stockpot or saucepan with a tight-fitting lid, you can happily leave it to get on with it while you chill or tackle some chores on a weekend afternoon. The cumin and lemon flavours really lift the dish and turn what could be a bland and boring traditional meal into something more fresh and exotic. 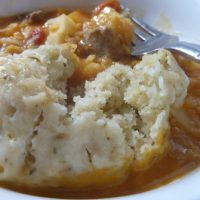 This dish may carry echoes of the middle east, but it is still very much a British stew, with a good old dumpling and British root veg. It’s a great way to stretch your meat budget, as the lentils and root vegetables pad out the dish, whilst still carrying the lamb flavour. 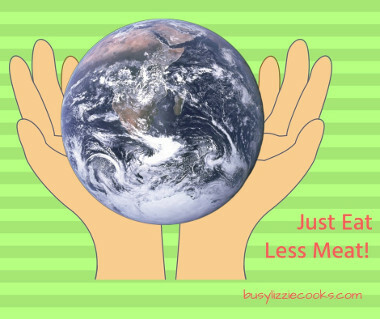 If you don’t think meat free Mondays are for you then it’s the way to go! The dumplings can be made the night before and kept in the fridge, prepared while you’re chopping the veg, or while the stew is cooking. It’s a really easy job, so if you’re not afraid of mess, get the little ones to help you out. If your hob is feeling vigorous you may want to keep an eye on the pan, to stir and add more water if necessary. However, if it simmers very gently it will look after itself. I haven’t tried this with fresh herbs in the dumplings, but I’m sure they’d be even tastier – Mmm, lamb and mint! 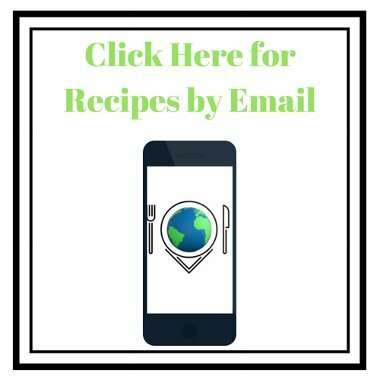 Why not try my slow cooker lamb tagine? This middle eastern inspired stew looks after itself on the hob. A great twist on a British favourite. Peel and chop the carrots and parsnip. Dice the onions, and begin to fry them. When they are becoming soft and translucent add the meat. Fry the lamb until it's coloured on every side. Stir in the cornflour and cumin, adding a little water if it becomes dry. Now stir in your lentils and vegetables, and add your tin of tomatoes. Add freshly boiled water so the lentils are well covered - I used around 500ml. Cover the pan with a tight lid, turn it down low and simmer for about an hour. CHeck it periodically, stir, and add more water if it is becoming absorbed. When the hour is up take a big mixing bowl to make the dumplings. 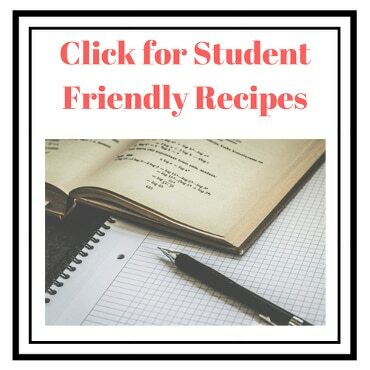 Stir the herbs, flour and suet together and slowly mix in cold water until it kneads together into one big ball, but doesn't stick together. Break your dough it into golf ball sized chunks and roll them between your hands to shape. 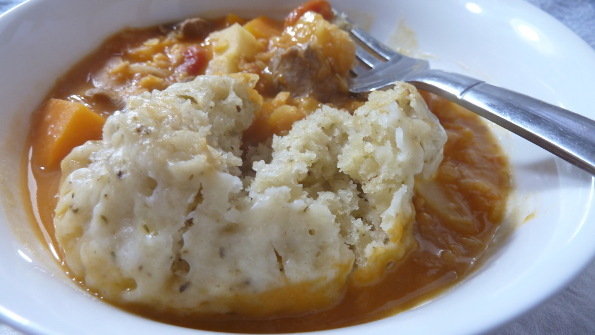 Now add your lemon juice, stir, and pop the dumplings on the surface of the stew. 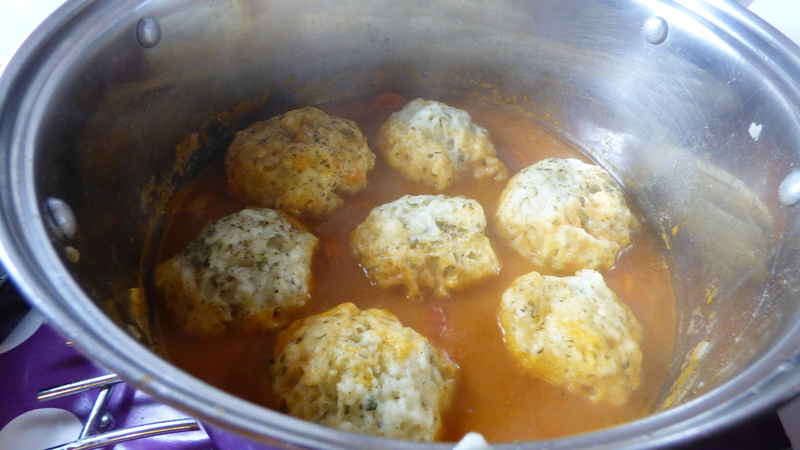 Put the lid on, and simmer for 15-20 minutes, 'til the dumplings have doubled in size.